The motto of the youth development group 4-H is head, heart, heath and hands. The largest young person leadership group in Michigan is where many future agriculture workers get their starts. Notable, because the farming industry makes up nearly a quarter of the state’s workforce. At the Eaton County Fair, going on through July 14, animal exhibits and show animal judging are on full display. That’s we ran into Naomi Saint Amour, 15, who credits 4-H with giving her the confidence to start her own small business. “I raise turkeys for Thanksgiving. I was actually able to do public speaking because I had enough confidence because of 4-H,” she said. According to Michigan State University, each year 200,000 kids participate in 4-H. The project areas span from science to technology to crafts. 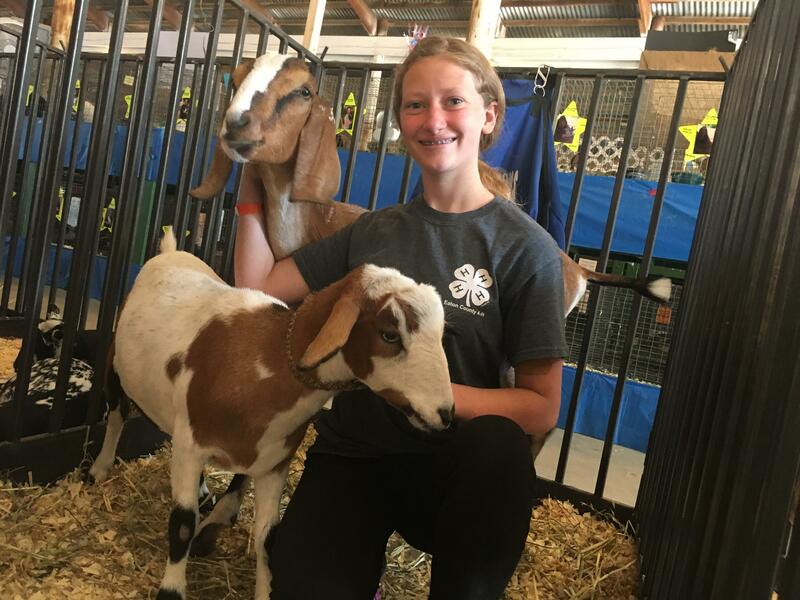 “Through those projects they are doing, they also learn life skills as well like learning responsibility, team work, problem solving, critical thinking all of those different skills as well,” 4-H Program Coordinator Kristy Oosterhouse said.